If you enjoy going to a bar, filling up a jug, and then draining its contents at home because you hate drinking at bars, you should pay attention to what's happening at Dallas' Craft and Growler. 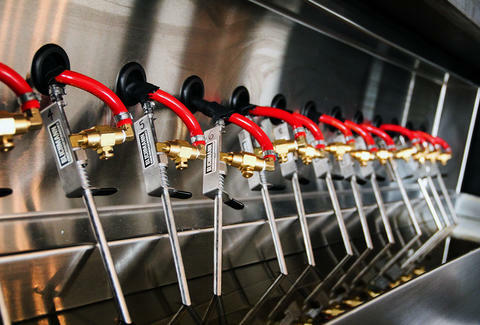 Located near the historic Cotton Bowl, the cozy spot's installed a two-gun tap system popular with home-brewers, but never before used commercially. The first gun shoots beer, the second CO2, which they pump into growlers to keep the beer fresher, longer. Beg your local to implement this system, and you'll never have to spend more than a few minutes inside your local again.